Did you know that this Friday,July 29, is National Lipstick Day? Of course, 100% Pure is celebrating with 20% off all Pomegranate lipsticks! There is no coupon code need. The discount is automatically applied of all Pomegranate lipsticks for this day only. So pout up those beautiful lips, hunt your favorite color and blow some kisses. These lipsticks are anti-aging, super moisturizing,concentrated with pomegranate oil, shea butter and colored from fruit pigments to keep lips super soft and youthful. Antioxidant and vitamin packed. Truly 100% Pure – no synthetic chemicals, synthetic dyes, chemical preservatives or any other toxins. 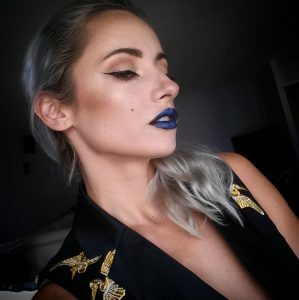 I fell in love with these this year,when I discovered some of the chemicals you “regular”lipstick might be made with,including lead. These lipsticks are super pigmented and long lasting,and in my top 5 favorites lipsticks. Now get shopping from 10am to midnight and grab yours. Love this company! I especially like the coffee bean eye cream..it smells so good!! This is my fav brand of all the lip products i’ve tried which are natural and the lip and cheek tints are my fave so far . I haven’t tried their lipsticks and their gloss is good . everything is good from them and they are very customer friendly and helpful which is super important . Should you know a man who needs one, really needs one, lay one on him. I added a line to the end of this piece, “Because sometimes it is easier to rage than to cry”.